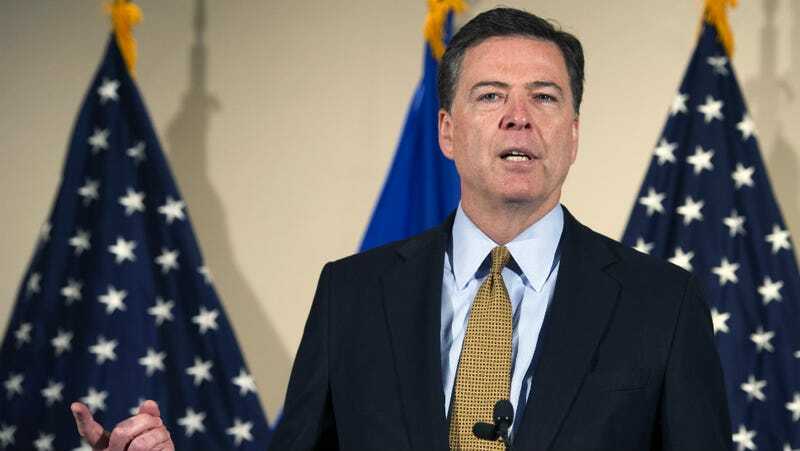 In a press conference Tuesday morning, FBI Director James Comey announced what the agency has discovered with regard to Hillary Clinton and her damn emails. Comey said that while the evidence showed Clinton and her staff were “extremely careless in their handling of extremely sensitive, highly classified information,” the FBI is not recommending the Department of Justice bring criminal charges. The FBI grilled Clinton for three hours on Saturday as part of their investigation into whether she broke the law when using a private email server when she was Secretary of State. Comey said the FBI was decidedly not impressed with her use of such a system, saying that “any reasonable person in Secretary Clinton’s place” should have known “an unclassified system was no place for that kind of conversation.” In all, 110 emails sent on Clinton’s server contained classified information, he said. Comey added that the FBI’s investigation has also revealed that under Clinton, the security culture of the State Department was “generally lacking,” and not up to the standards of other governmental departments. Clinton even “extensively” used her personal email, he said, when outside the United States “including in the territory of sophisticated adversaries.” He said it was “possible” that hostile actors could have gained access to her emails in that time. Nonetheless, he added, the FBI will not recommend that the Department of Justice bring any criminal charges (although the DOJ is free to make their own call). “Our judgment is that no reasonable prosecutor would bring such a case,” he explained. Given the controversy over Attorney General Loretta Lynch recently meeting with Bill Clinton in an apparently impromptu meeting onboard her private plane, there’s no way this won’t spark immediate accusations of a coverup. Neither Clinton nor Donald Trump have commented yet on Comey’s remarks. Both Clinton’s spokesperson and House Speaker Paul Ryan have weighed in on the FBI’s announcement. The Clinton campaign is thrilled, Ryan less so.